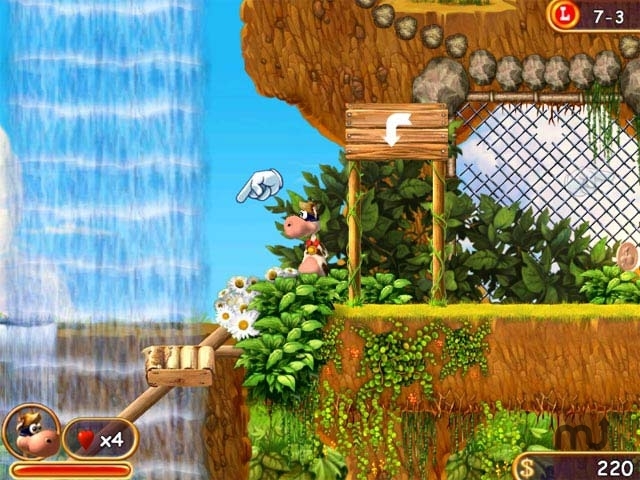 Guide Supercow through challenging levels to save the farm animals. Is there a better alternative to Supercow? Is Supercow really the best app in Arcade category? Will Supercow work good on macOS 10.13.4? Supercow... Professor Duriarti, a famous criminal, has seized the farm and captured the animals! He cloned them and made the clones work for him to successfully fulfill his diabolical plan of earth's destruction. Through her network of informants, Supercow heard about the situation, and dashed off to save the farm animals. Because after all, who knows how to save the farm better than Supercow? Supercow is an arcade game for the entire family! Supercow needs a review. Be the first to review this app and get the discussion started! Supercow needs a rating. Be the first to rate this app and get the discussion started!